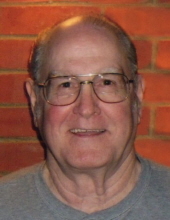 Lloyd Junior Smith, 81, of Danville, Va., passed away Wednesday, February 6, 2019, at Sovah Health Danville. He was born April 19, 1937, in Fount, Kentucky, to the late Margaret Messer Smith and the late Lloyd Smith. He was also preceded in death by his wife, Diane Wilkinson Smith and his son, Lloyd Albert Smith. Mr. Smith was the oldest boy of twelve siblings. He loved to deer hunt and play bingo. Mr. Smith also enjoyed playing softball and golf; he worked at True Value Hardware. Mr. Smith is survived by his daughter, Brenda Williams and husband, Hal of Danville; his grandchildren, Amanda, Ashley, and Alyssa; and his great-grandchildren, Aaliyah and Jazmin. A memorial service will be held at 2 p.m. Sunday, February 10, 2019, at Norris Mt. Hermon Chapel with Rev. Jeff Lynch officiating. At other times the family will receive friends at the residence. Norris Funeral Services, Inc. & Crematory, Mt. Hermon Chapel, 3995 Franklin Tpke., Danville, Va. is respectfully serving the Smith family. Online condolences may be made at www.norrisfuneral.com. To send flowers or a remembrance gift to the family of Lloyd Junior Smith, please visit our Tribute Store. "Email Address" would like to share the life celebration of Lloyd Junior Smith. Click on the "link" to go to share a favorite memory or leave a condolence message for the family.